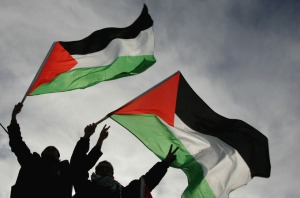 Numerous incidents of violence and conflict and consequent news of constructing new habitations constitute the main outline, in the Western media, of the “Palestinian” conflict. Usually, the stories of violence are covered under the heading of targeting the so-called “terrorists.” However, the case is not so simple as it appears in the so-called “fact-based” media reports. There are a lot of facts which are either not reported or are not considered to be “significant” enough. The trajectory of violence in Palestine/Israel is mostly presented as emanating from the subjugated Palestinians; while, the Israelis are exonerated and justified for retaliating in the name of “self-defence.” Not only does such manipulated presentation of facts shift popular focus from the underlying realities, but also gives Israel an excuse to unleash hell on the innocent Palestinians. For example, the conditions in which the Palestinians have to survive are either rarely reported or not all. What has to be reported for building an objective opinion on violence and justification of violence is that the occupation and the absolute closure is an ongoing attack on the human dignity of the people in Gaza in particular and all Palestinians generally. It is a sort of systematic degradation, humiliation, isolation and fragmentation of the Palestinian people. The conclusion is confirmed by a number of sources. In one of the world’s leading medical journals, The Lancet, a visiting Stanford physician, appalled by what he witnessed, describes Gaza as “something of a laboratory for observing an absence of dignity,” a condition that has “devastating” effects on physical, mental, and social wellbeing. “The constant surveillance from the sky, collective punishment through blockade and isolation, the intrusion into homes and communications, and restrictions on those trying to travel, or marry, or work make it difficult to live a dignified life in Gaza. Apart from constant subjugation through these methods, periodic use of brutal force adds to the intensity of subjugation. For example, in November of 2012, the state of Israel started bombing Gaza once again, killing innocent civilians in the name of targeting terrorists. Soon enough, the Israeli Defence Forces also announced the commencement of yet another operation against the practically imprisoned population of Gaza. The Nobel Peace Prize winner and the re-elected US President Barack Obama reiterated his country’s support for Israel’s “right to defend” itself against rocket attacks from militants in the Gaza Strip. His NATO allies in the European Union agreed, making slight ‘noises’ about controlling the number of civilian deaths and advising Israel to “use violence proportionately” to the rocket attacks from Gaza. The hypocrisy of these powerful leaders of the richest countries in the world is nothing new. We have seen it in action in the tribal areas of Pakistan where CIA drones have been killing innocent civilians for eight years, again on the pretext of targeting terrorists. However, what is not paid adequate attention is that the very presence of “terrorists” in countries such as Afghanistan, and Israel is the ‘natural’ result of occupation; and, consequent oppression acts as the trigger for conflict, and until Israelis and their supporters accept this simple truth, the ongoing cycle of violence will continue. But as more time passes, the more difficult it becomes to reach a negotiated peace. Israel`s unending construction activity on the occupied lands has made a two-state solution all but impossible. And, perhaps this is what the state of Israel actually wants to achieve. War and violence, as such, is a useful strategy which has turned out to be a “blessing in disguise” for Israel because it prevents people from asking two basic questions that must be addressed if the core of silencing and violence that we have been witnessing for many years now is to be grasped and, in turn, if progress is ever to be made towards justice and enduring peace. First, what kind of state is Israel? Second, who are the Palestinians that this state is in conflict with? Israel was established to be a Jewish state. Its institutions have always been shaped and constrained so as to ensure the continued existence of a Jewish majority and character. Passing a test of Jewishness entitles someone to Israeli citizenship regardless of where in the world he or she lives. Furthermore, citizenship comes with a bundle of political, social and economic rights which are preferential to those citizens who do not qualify as Jewish. This inbuilt discriminatory premise highlights the apartheid nature of the state. But apartheid is not an accidental feature of Israel. Its very creation involved immense injustice and suffering. Shielding and rationalizing this inbuilt premise prevents addressing past injustices and ensures their continuity into the future. It is a premise that, in matters of constitutional interpretation, takes precedence over, and thus involves the imposition of ‘reasonable’ limitations on, equality of citizenship. The Palestinians, we are told, are a people who live in the West Bank and Gaza. The impression forced on us is that the conflict concerns a compromise to be made on the issue of demarking correct border between Israel and a Palestinian state. We are led to believe that a partition into two-states would satisfy both genuine and realistic aspirations for justice and peace. In this view, the violence in Gaza is just an unreasonable aberration from an otherwise noble peace process. But Palestinians actually comprise three groups. First are those whose families originated in the territories that were occupied by Israel in 1967, which include Gaza and the West Bank, including East Jerusalem. Second are the descendants of the approximately 750,000 non-Jews who were ethnically cleansed in 1947-9 in order to ensure a Jewish majority in the new Jewish state. This group is dispersed around the world, mostly in refugee camps in the territories occupied in 1967 and the neighboring states. Israel has persistently denied them their internationally recognized legal right to return. The majority in Gaza consists of refugees from villages which are now buried under Israeli towns and cities that were created explicitly for Jewish citizens, places which include Ashkelon and Tel Aviv that were hit by rockets in the last year conflict. The third group of Palestinians, which Israel insists on calling by euphemism ‘Israeli Arabs’, are the non-Jews who managed to evade ethnic cleansing in 1947-49 and who now live as second-class citizens of Israel, the state which likes to claim that it is ‘Jewish and democratic’. Until 1948, the territory of Palestine stretched from the River Jordan to the Mediterranean. The violence that has afflicted the area ever since is the direct result of an event whose true nature our ‘global society’ seems determined to deny. Violence keeps erupting because of the silencing and marginalization of a simple truth surrounding any partition policy: that the injustice that afflicts Palestine cannot be partitioned. It is because of the desire to preserve a Jewish state that first, the legal dualism that exists in the 1967 Occupied Territories as well as the horror at the ‘Separation Wall’ have become the dominant political discourses of apartheid, and second, that the refugees are deliberately kept dispossessed and suspended in a state of perpetual subjugation, thirdly, that both actual and potential non-Jew Arab citizens do, and would, suffer discrimination. Legal dualism, dispossession, discrimination are that injustice which cannot be partitioned, and unless it is corrected, no solid ground for peace can be created. And, the two-state vision means that the inbuilt apartheid within Israel, and in turn the injustice to two groups of Palestinians, does never become the central political problem. The range of reactions to the last year carnage showed just how successful violence has been in sustaining the legitimacy of Israel by entrenching the political focus merely on its actions rather than on its nature. These reactions keep the discourse that calls for criticizing Israel rather than for replacing it with an egalitarian polity over the whole of historical Palestine. Israel desires to be hated by Palestinians. By provoking violence Israel has not merely managed to divert the limelight from its apartheid nature. It has also managed to convince that, as Joseph Massad of Columbia University once captured, it has the right to occupy, to dispossess and to discriminate, namely the claim that the apartheid premise which founds it should be put up with and rationalized as reasonable. Would anybody allow such a right-claim to hold sway in apartheid South Africa? How come that the anti-apartheid and egalitarian calls for the non-recognition of Israel’s right to exist are being marginalized as extreme and unrealizable? What kind of existential fetters cause the world to exhibit such blindness and a drop of compassion? Is there no unfolding tragedy that anticipates violence against Jews precisely because past violence against them in Europe is being allowed to serve as a rationalizing device of an apartheid state? Salman Rafi Sheikh, research-analyst of International Relations and Pakistan’s foreign and domestic affairs. Exclusively for the online magazine “New Eastern Outlook”.